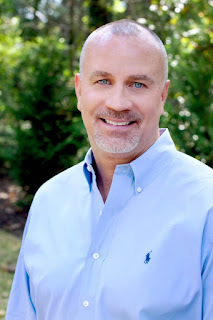 Home Business Magazine Interviews Dr. Randy Ross, author of Remarkable! There is a buzz in the marketplace today about the power of a strong culture. So, we sat down with Dr. Randy Ross, a catalytic coach and culture guru to get his take on why the marketplace is enamored with this subject and to find out what can be done to shape the culture of any business into a transformational environment. HBM: So what is the big deal about culture? HBM: How would you define culture? HBM: That’s an interesting term. I’ve never heard it before. HBM: So, how do you get this valucentricity? HBM: There is no doubt that hiring the right people is critical in improving culture. But, that’s easier said than done. How do you suggest that happen? Dr. Ross: “Hiring quality people IS the fastest way to infuse new life into an organization. Simple to say; difficult to do! Hire for values fit above competencies, experience or education. Someone can be highly competent, have great experience and a stellar scholastic record, but if that person’s values, beliefs and behavior do not align with your brand, then you are shooting yourself in the foot by hiring them. HBM: Good advice. So, let’s talk about the culture piece. How does someone focus on culture when the demands of a small business require so much time and energy? HBM: So, how do you define a Remarkable culture? HBM: What is the single best piece of advice you could give to help move any organization toward this type of compelling culture? Dr. Ross: “Understand what it means to truly be a value creator. Most people don’t fully grasp this concept. Oh, we talk about bring value, creating value and adding value, but very few really know how to do that. This is because, at our core, we all tend to be value extractors. We seek to position ourselves to extract as much value as we can from every endeavor. Listen carefully to the conversation at the next networking event you attend and this will become painfully apparent. HBM: Your recently released book, entitled Remarkable! plays all of these principles out in a fun narrative, which you describe as a Leadership Parable. Who was your target audience for the book?